When people say affordable housing these days, it could mean different things to different people. From our point of view, affordable housing is about making dreams come true – for people who never ever thought they could actually own the home they wanted to live in. And that can only happen if you can actually offer a home that is truly affordable, in today’s market conditions. This is the philosophy around which we conceive our projects. For a lot of lucky people, Aswani Properties is actually making this dream come true. Image featured here is of our fully completed project off the Hosur Road, on the Anekal stretch. 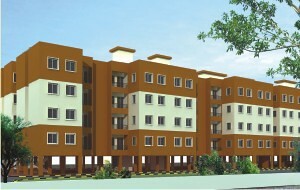 Aswani Sitara is a 3-acre project with 240 apartments. This now fully sold, but can be inspected for quality of construction, space planning and amenities provided.